In a psychiatric discussion reminiscent of the age-old “chicken or the egg” debate, Dr. Jennifer Farrell and Dr. Daniel Amen explore the question of what comes first, substance abuse or mental health issues? It’s no surprise that there is a direct correlation between the two, and addiction specialist Dr. Farrell describes common scenarios among patients, as well as some effective treatment strategies. 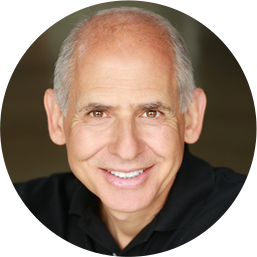 Dr. Daniel Amen:	The Brain Warrior's Way Podcast is brought to your by Amen Clinics, where we've transformed lives for three decades using brain SPECT imaging to better target treatment and natural ways to heal the brain. For more information, visit AmenClinics.com. And stay tuned for a special code for a discount to Amen Clinics for a full evaluation, as well as any of our supplements at BrainMDHealth.com. Dr. Jennifer Farrell:	Mm-hmm (affirmative), behavior addictions. Yeah. Dr. Daniel Amen:	We're going to talk about addictions. 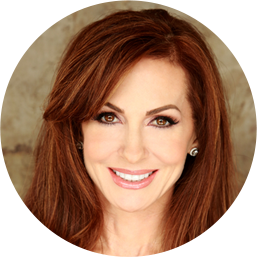 Dr. Farrell is one of the addictionologists here at Amen Clinics. You've been with us how long? Dr. Jennifer Farrell:	Almost eight years. Dr. Daniel Amen:	Almost eight years. Wow. And I have loved every minute of it to have her with us. She's a board-certified psychiatrist, she's also certified in addiction medicine. She has seen lots of complex people. Dr. Jennifer Farrell:	Mm-hmm (affirmative). We specialize in complex here. Dr. Daniel Amen:	We specialize in complexity. And you want to listen to this, even if you've never had an addiction, because odds are either you've struggled at some point, or someone you love has struggled. It is just so common. Addictions affect nearly 20% of the population at some point in their life. Dr. Jennifer Farrell:	And even more people, where they may not meet criteria for a substance use disorder may have periods of life where they find themselves abusing substances, or binging in substances, or they may kind of be approaching that cutoff where they're getting into impaired functioning. So it really is important for everyone to have a good working understanding of addictions, for parents who have kids who are growing up, what to watch with their teenagers, when they go away to college. So I think it really affects everyone. Dr. Daniel Amen:	So how did you get involved in this field? What turned this into a passion for you? Dr. Daniel Amen:	Yeah, we like it when people get better. Dr. Jennifer Farrell:	Right. But we aren't really given the tools in medical school to know how to work with this patient population. When I was about halfway through my psychiatry residency, I was realizing that in my area, half to maybe 70% of my patients had a current or past addiction issue. So I started playing around with the idea of, "Well, what would happen if I did a fellowship and learned more about this? Would this help me in my outpatient practice?" Dr. Daniel Amen:	Well, that's a rough life. Dr. Jennifer Farrell:	Well, if you have to do an internship and residency somewhere, might as well be Hawaii. But she was trying to open a clinic for pregnant drug addicts, and she was working on funding for that. So I literally cut the article out of the paper, took it in to the head of the department and I said, "I will stay an extra year and do this fellowship." It was in addiction psychiatry and addiction medicine. And I handed him this and I said, "If I can do this." And he said, "It's impossible. She's not yet board-certified in addictions. There's no one there to supervise you." And as you know, in a fellowship, you need supervision. So I just took a deep breath and smiled and I said, "You can." And he went, "Oh, crap. Fine." And so that's how I ended up agreeing to do the fellowship. I called her up. I said, "Can I come?" And she said, "Please." So as she was developing her program, I was developing the addiction treatment component. It just felt like something went off in my brain, that there was more than just treating my patients who have addictions, how far-reaching addictions is. And women can't just automatically shut off their addictions just because they get pregnant. So how do we treat them? And so that's how it started for me. Dr. Daniel Amen:	Wow. What a great story. Let's talk about co-occurring conditions; that often substance abuse is caused by having other mental health issues like ADD, bipolar disorder, schizophrenia. And sometimes, the substance abuse causes the other mental health issues. I was with somebody yesterday, and he said he started doing mushrooms when he was a teenager. And it was after a bad trip that negativity came and visited him, and has never left since then. He's 45. So he, before that time had been confident, and positive, and he just said he saw hell, and now it was sort of always with him. So when you think of, we call it dual diagnosis, talk to me about that. What goes through your mind? Dr. Jennifer Farrell:	So at some point, not on the initial visit, necessarily, but at some point we have to answer that question of, "What comes first?" Is this an underlying issue that the person was then trying to throw alcohol at or cannabis or something to try to fix this underlying issue? A patient I saw earlier today had that. Or, is this someone who started abusing substances that led into some other issues, heavier use, and then over time they developed the insomnia, the depression, the anxiety, or in some cases, psychotic symptoms? And as you know, psychosis is just a word that means "break with reality". So some people will start hearing voices when the person next to them wouldn't hear them, or having some paranoia or delusions. And we can see that with a lot of substances, even with cannabis, with the stimulants, with amphetamines, with methamphetamines. So some people can present looking like they have schizophrenia, and you have to figure out, "Is this someone who was genetically predisposed to having schizophrenia, or is this substance induced?" Dr. Daniel Amen:	And that's tricky. So for me, I often, because I'm also a child psychiatrist, is I want to know, "Well, what were they like when they were four? What did their teachers say about them? What was going on with them before any substance abuse?" Because people who have ADD, for example, they don't start with symptoms when they're 40. Dr. Jennifer Farrell:	Right, when they're kids. Dr. Daniel Amen:	They have symptoms, generally, when they're six, seven, eight, nine. Teachers will say, "You should have tried harder. You talk too much. Class clown." Things like that. According to one study from Harvard, 52% of untreated people with ADD end up abusing drugs and alcohol. So that would be ... So it's history before. Dr. Jennifer Farrell:	Right. The problem that we have is a lot of the psychiatric problems have their age of onset between 18 and 24. Big life changes: graduating high school, going to college, joining the military. So a lot of times if someone is genetically predisposed to having, let's say an anxiety disorder, it doesn't come out until that age range. Well, if they start at the end of high school or during college drinking or using cannabis or other substances, it's hard to tell whether there is this underlying predisposition versus a substance induced. Dr. Daniel Amen:	So as an addictionologist, how do you decide? Dr. Jennifer Farrell:	Well, I tell my patients I kind of look at treatment in three phases. One, "What is the fire we need to put out today? What do we need to do to get control of your life today?" Then I say, "Okay, what's our short-term plan going to be?" And then we look at a longer-term plan. So the first thing I do if someone's hearing voices, I have to treat that. The longer the amount of time that the brain spends hearing voices, the more likely that's going to continue. So I have to get that under control. Does that mean that person's going to be on medication the rest of his life? Absolutely not. But I need to get that under control. Then we need to, once we have some stabilization, start digging in and seeing what these other issues are. Sometimes we can tell, and sometimes we can't. But we really have to treat the symptoms and improve the quality of life. Dr. Daniel Amen:	So let's take an anxiety disorder for example, because so many of our patients come to us on benzos and marijuana. What's your approach to someone who's really anxious and using substances at the same time? Dr. Jennifer Farrell:	So, one, we have to put out the fire. So what are the safety issues we have to look at? Because stopping suddenly sedatives for some people can be deadly, can cause seizures if people are on high doses of Xanax, for instance, and they stop suddenly, they can have seizures, or even die in withdrawal. So we have to look at that. But then we have to, if we don't address that anxiety component, then they're just going to go back on those substances. Dr. Daniel Amen:	Right, because they feel awful. Dr. Jennifer Farrell:	So there's actually a lot of data looking at medications that can be a good kind of bridge between getting off of those benzodiazepines or those sedatives, and figuring out what the underlying cause is. Using anticonvulsants. The anticonvulsants such as gabapentin bind to the same receptor as those sedatives. But it doesn't have the same addictive pathway. Dr. Daniel Amen:	Right. Nobody robs 7-Eleven to get Neurontin or gabapentin, which is the generic name. Dr. Jennifer Farrell:	They do for Oxycontin. Dr. Daniel Amen:	They do for Oxycontin. Yes, they do. Dr. Daniel Amen:	You know, I think I've used it for 20 years, ever since it came out. And I can't think of one case. And I'm different than a lot of psychiatrists. I push the dose. Like, I'll go up to 5,000 milligrams, because we'll drug this brain into submission and do a better job, hopefully a less toxic job. And I really like it for my anxious irritable patients. Dr. Jennifer Farrell:	Mm-hmm (affirmative). Exactly. Dr. Jennifer Farrell:	It targets that angst that people get. It's like, when the anxiety comes with a level of discomfort where people feel like they're going to crawl out of their skin, it's really good with that. And it helps restore sleep. So we use that a lot to bridge the gap. But it gets down to the question of, "What is this anxiety about? Is this a generalized anxiety? Has there been trauma?" We talk a lot about trauma in addictions. About 90% of women who present for treatment for a substance use disorder have some kind of either PTSD, or some kind of traumatic experience. The numbers are a little bit lower for men, but I think it's largely because it goes unreported. So we have to look. If the anxiety comes from trauma, then I need to address it, and I'm going to have a different approach than if the anxiety is based on a phobia of getting into an elevator. So I have to see what that anxiety is related to. We need to build the coping strategies for dealing with it, and then come up with our longer-term strategies of being able to come off of medication. We want to treat it with a non-medication way, but that transition of getting off the substances and learning the new coping strategies is key. Dr. Jennifer Farrell:	Yes. Well, you just hit it. Exactly. Because people think of trauma as, "I was in a bank during a robbery." And they don't understand that having a really chaotic household and childhood is emotionally traumatic for kids. And these things actually count. I saw someone today who grew up with alcoholic parents, and his parents divorced when he was very young. And he just never felt safe. He internalized all of that drama around him and came out with this belief that, "There's something wrong with me." And that's what kids do, because kids only know that adults are in charge of the world, and the kid's brain expects this adult brain to provide a sense of structure and order in that environment. And when instead there's chaos, the child goes, "Well, if adults are in charge and things aren't going very well, I must be doing something wrong. I'm not good enough. I'm not whatever." It's not a thought they have. It's a belief that develops, because kids don't have this higher-ordered thinking. And so what happened with this patient I saw today, is he started getting bullied, he never felt like he fit in, going back to the time of the divorce. And he started just drowning himself in substances when he was in high school. And every treatment program he's been to for the last 10 years, he's only been able to maintain 10 months of sobriety at one time, because every treatment program only looks at the substance us, and no one has talked to him about this hole, this pit, this belief that he doesn't fit in, that there's something innately wrong with him. And that's what he's trying to fix with the substance us. So you have to get in there and see what's actually there so we can address it. That's what's going to make him successful with his substance use treatment. And he was a diamond pattern. Dr. Daniel Amen:	So when we think of treating dual diagnosis, so people who have an addiction plus another mental health issue, here at Amen Clinics the method is, well, we always try to assess and treat people in the four circles. So what's the underlying biology? He had the trauma pattern. What's your genetics? Was there a head trauma? Is there an infection? Is there some sort of other environmental toxin? But also what are the psychological issues? What did you grow up in? What are the messages you tell yourself? The social issues are huge in addiction. You become like the people you hang out with. It's so powerful. We talked a couple of weeks ago about a new study where if you hold your partner's hand, their brain actually begins to sync with your brainwave pattern. So you have to be very careful whose hand you hold. But you become like the people you hang out with. And then there's this spiritual circle, which is, "Why the heck do you care? Why are you on the planet? What's your sense of meaning and purpose?" Dr. Jennifer Farrell:	That's one of my favorite parts to get into. And, you know, we always have to put out the fires first and get to the medical stuff and the toxic exposures. But sitting down with someone and figuring out, "Who am I? What is my place in this world? What kind of person do I want to be? What are my values? How do I want to live my life? Do I want to have a family? How do I want to raise my kids?" It's fun and exciting. I tell every patient who walks through the door here, "My goal for everyone is to improve your quality of life." And so we want to think about, as we go through, all of these four circles. What is it we're actually going to implement that's going to improve life on a day-to-day basis? Dr. Daniel Amen:	So stay with us. When we come back we're going to talk about what has become one of the most addictive things in our society: social media. Oh my goodness. Stay with us. Thank you for listening to the Brain Warrior's Way Podcast. 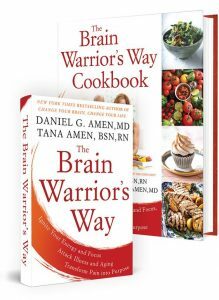 Go to iTunes and leave a review and you'll automatically be entered into a drawing to get a free, signed copy of The Brain Warrior's Way, and The Brain Warrior's Way Cookbook we give away every month.